From May 2nd to May 4th, over 500 delegates will gather in Stockholm for the main Travel medicine conference in 2018. The conference fosters travel medicine in Europe. 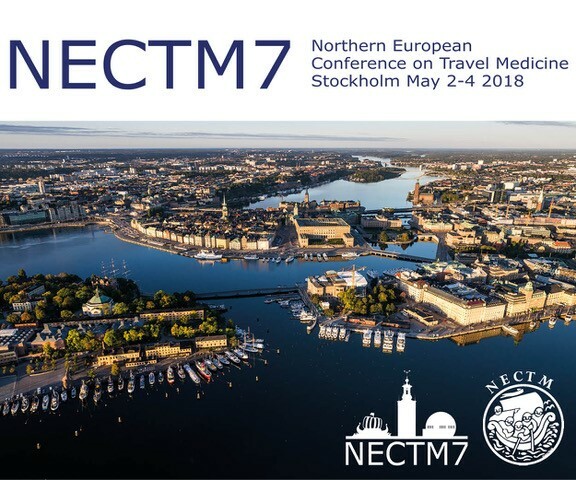 NECTM is an association formed by medical medicine associations in the Nordic countries, the United Kingdom, Germany, Ireland and the Netherlands. The conference has a comprehensive scientific program and delegates mainly from northern Europe meet here to discuss common travel health topics and advances in travel medicine. Key achievements for our ETEC vaccine candidate will be presented during the scientific sessions. Our ETEC vaccine is seen as the most prominent ETEC candidate in clinical development. The vaccine has shown impressive results both in terms of safety and the ability to activate the immune system. On Thursday 3rd of May (11:30-11:45) Professor Anu Kantele from Helsinki University will give a presentation about our ongoing clinical phase IIB trial in Benin “OEV-123 – A clinical trial on an oral inactivated etec vaccine, ETVAX”. The day after, Friday 4th of May (14:30-15:00), Professor Ann-Mari Svennerholm from University of Gothenburg will give a presentation about “Research efforts to develop new enteric vaccines for travelers and populations in endemic countries”. Please come and visit our booth at NECTM, Clarion Hotel in Stockholm.